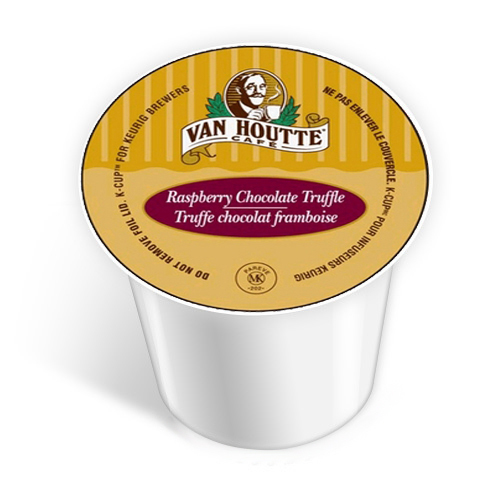 Van Houtte’s Chocolate Raspberry Truffle K-Cup is another delicious flavoured coffee, offering just the right blend of coffee and flavouring. Sometimes the name of a K-cup is more enticing than the coffee inside it, but this is most certainly not the case with the Chocolate Raspberry Truffle. An incredible aroma and well-balanced taste make this a hard cup to turn down… Thankfully this brew works well anytime of day, so you can always pour a cup, sit back, and enjoy! What's better than chocolate raspberry truffles? Chocolate raspberry truffle coffee.